The rigorous involvement of women in the Olympics is officially sourced in the 1900s. The Paris Summer Olympics of 1900 saw the incorporation of women’s events in tennis and golf, and over the next century, more sports began to include variations for professional female athletes. By 2012, all sports (current and future-hopefuls) are mandated to feature events for both men and women. The (albeit gradual) integration of the Olympics over the years has played an important role in showcasing women’s talents and capabilities across athletic fields, elevating key Olympic champions like Katinka Hosszú. The relationship between Katinka and her husband/coach, Shane Tusup, is one-of-a-kind. Over the past few years, the two have been a constant source of support for each other. Born in Pécs, Hungary to Barbara Bakos and István Hosszú, Katinka picked up swimming as a young girl demonstrating, like many of today’s Olympic competitors, a natural affinity for athletic movement and fitness. Her early talents in aquatics received coaching 201620120from László Bakos (her grandfather) until she turned 13. In the years following her graduation from high school, Hosszú attended (and competed on behalf of) the University of Southern California in the U.S. It was here that she met Shane Tusup, her future husband and swim coach, during their freshman years. In addition to her professional swimming career, Hosszú has also been pursuing her desire to open her own swim club with her husband. The club is set to open in Hungary under the title ‘Iron Aquatics’ this month. Dynamic, elegant, powerful, limber — all words that can describe Hosszú’s movement through Olympic waters! Hosszú made an appearance in the 2012 Summer Olympics in London, attracting attention with a resilient performance and energetic flair. Unfortunately, her performance in the 400-meter individual medley and the 200-meter individual medley landed her in 4th and 8th place, thus preventing her from procuring medals. She also missed the 200-meter butterfly final competition. This, of course, would not dissuade her in the path to glory. With a standard set, the only path left for Hosszú was upwards. Over the next several years, she continued to hone her swimming capabilities in World championship and World cup series, breaking several records and claiming other kinds of medals in the process. Hosszú’s performance at Rio this past year is commendable, to say the least. For more information about Iron Aquatics, visit the group’s website at ironaquatics.hu ! Hosszú’s ultimate opportunity at redemption in the Olympics finally arrived in 2016, and her performance in Rio dramatically improved as the result of her vigorous training, exceptional strength, and helpful collaboration with her husband and resident coach, Tusup. At the conclusion of the Olympics, Hosszú brought home 3 gold medals for the 100-meter backstroke, as well as the 400-meter and 200-meter individual medley. She also claimed a silver medal in the 200-meter backstroke with a time of 2:06:05! 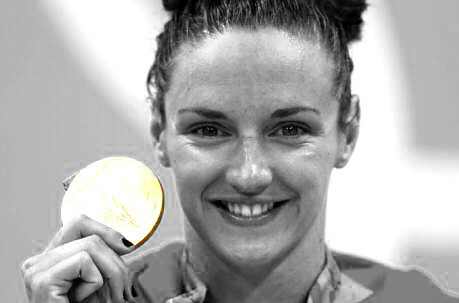 With a grand total of 4 medals for her performance in Rio, Hosszú claimed more medals in individual events than any other swimmer in the 2016 Olympics. This entry was posted in Olympics, Other and tagged 2016 Olympic Games, 2016 Olympic rankings, Rio 2016, Rio Olympics, sport, sports, sports and training, Sports Archives, Sports Blogs, sports performance, Swimming, water sports. Bookmark the permalink.